MSIL has revealed the details of the soon to be launched 2017 Maruti S-Cross facelift. The updated model gets styling updates and gains Smart Hybrid tech. Prices of the facelift will be revealed in the coming days. The Maruti S-Cross facelift comes with only a 1.3 L DDiS200 diesel engine option mated to a 5-speed manual transmission. For the 2017 model, Maruti has decided to give the 1.6 L DDiS320 diesel engine a miss. So, the only engine option on offer is the 1.3 L DDiS200, which now benefits from mild hybrid technology. It has a maximum power output of 66 kW and a peak torque output of 200 Nm. The engine comes mated to a 5-speed manual transmission. While official fuel efficiency figures are yet to be revealed, expect the 2017 Maruti S-Cross to be more frugal thanks to the inclusion of mild hybrid tech. With the 1.6 L variant now gone, there are only four trims to choose from - Alpha, Zeta, Delta, and Sigma. In terms of features, the list is identical to the model it replaces. However, the 7-inch touchscreen SmartPlay infotainment system now gets Android Auto as well. The nose features a new chrome grille, a layered dual tone front bumper, and a new set of headlamps with LED projector units and LED DRLs. 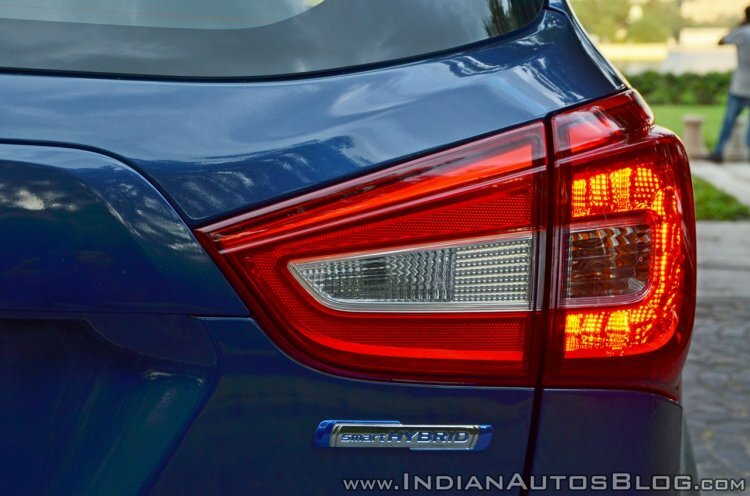 At the back, the only noticeable change is a set of reprofiled tail lamps with LED graphics. Smart Hybrid tech finds its way to the 2017 Maruti S-Cross. It continues to be offered in five exterior colour options. 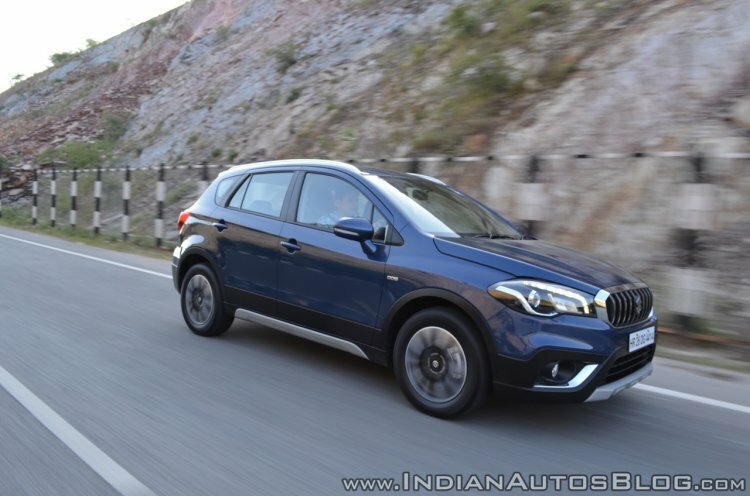 However, the Urban Blue shade has been replaced by a darker Nexa Blue.